Thank you to all of our awesome staff and our students for a "Picture Perfect Year"! 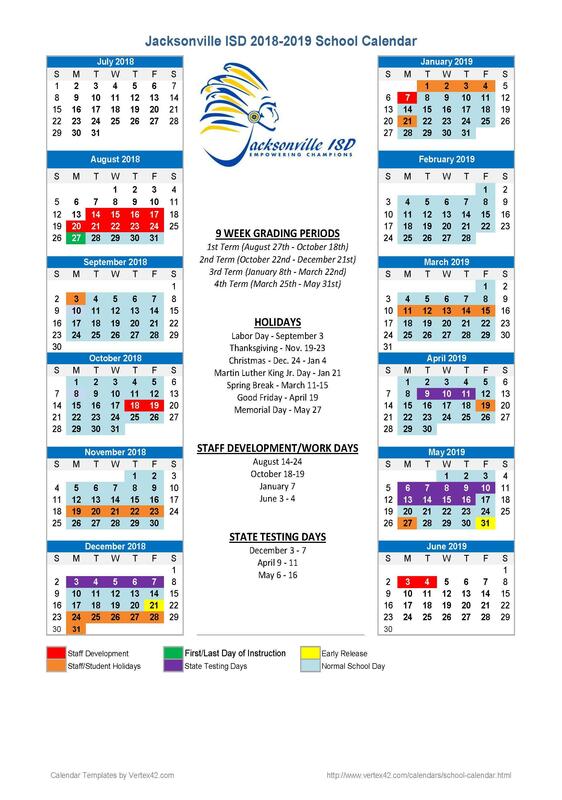 2017-18 was a great time of growth and expansion for JISD, and all of you contributed to make this a special year for Jacksonville. We saw the start of the Tomato Bowl renovation and the Career and Tech additions. Those two facilities are an exciting addition for Jacksonville and will impact the community for many years ahead. We witnessed legendary success in so many areas involving our students of all ages. From UIL Academic accolades at the state level, to success in many of the athletic sports of both Indians and Maidens. JISD's bands, choirs, one-act play, dance team and cheer teams all achieved success and were awarded numerous distinctions. The Cherokee County Livestock Show was filled with Jacksonville students of all ages and in all categories. I am truly proud of our students and the staff who work so diligently to encourage and support these kids. Jacksonville Independent School District is a wonderful district to be part of. Parents, please keep the minds of our awesome students engaged and challenged this summer. The local library has many activities, as well as assorted camps offered through the athletic department at Jacksonville High School. Encourage reading and exploring so that those incredible minds are ready to continue on this educational journey with us in August. Thank you for all you do.